17mar5:00 PMSt. Patrick's Day in BrickellTickets online while they last! 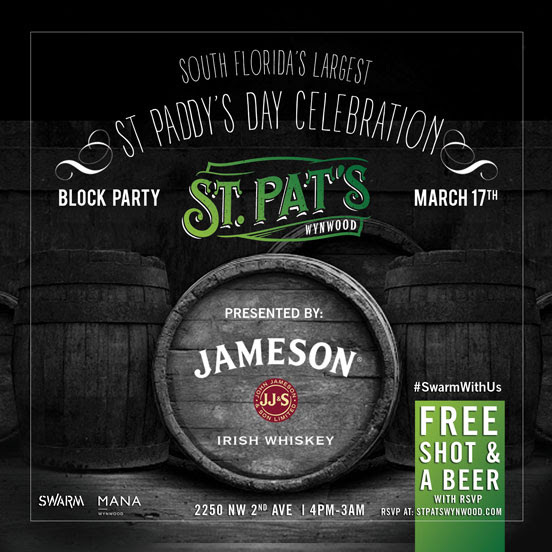 Friday, March 17th join us for a huge street festival in Mary Brickell Village to celebrate St. Patrick’s Day. With great DJs, multiple stages and countless cocktail stations it is one of Miami’s largest celebrations. Get your tickets online today to save 50% on the cost of admission. What are you waiting for, get your tickets now!